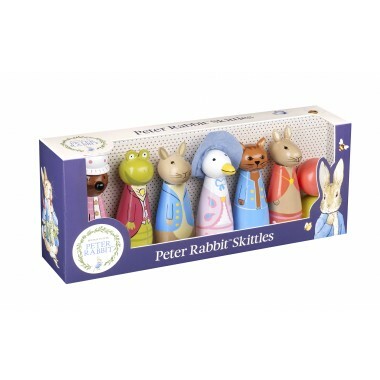 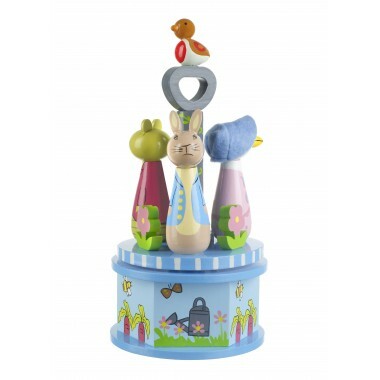 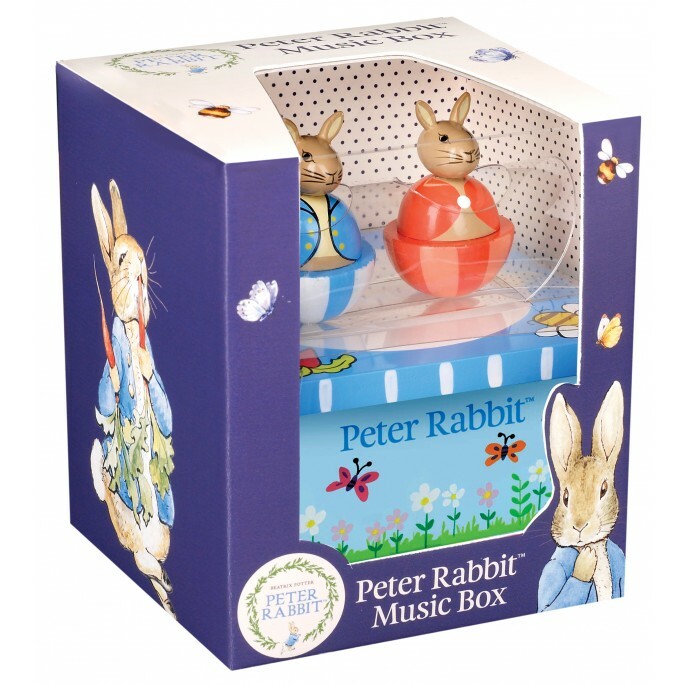 This lovely wooden Peter Rabbit™ music box is the perfect gift! 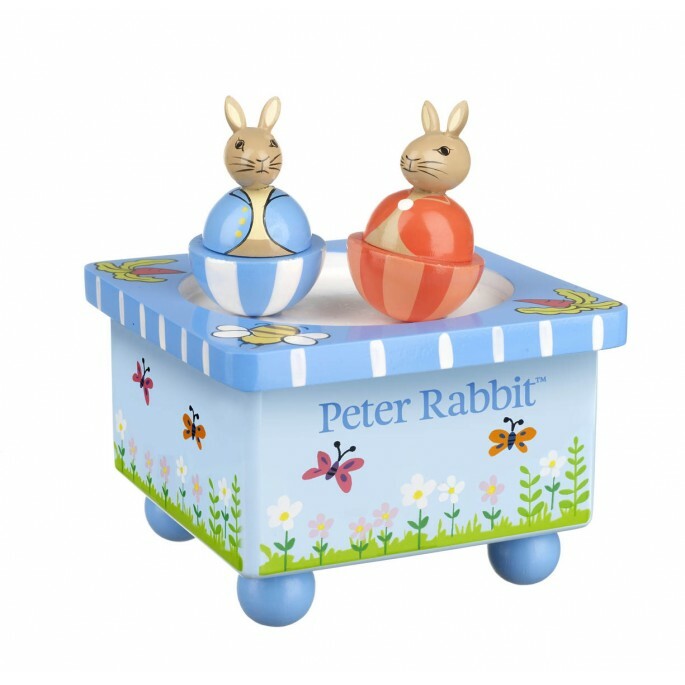 Just wind up the music box, and enjoy watching Peter Rabbit and Flopsy Bunny dance and twirl along to the tune of "Brahms Lullaby". 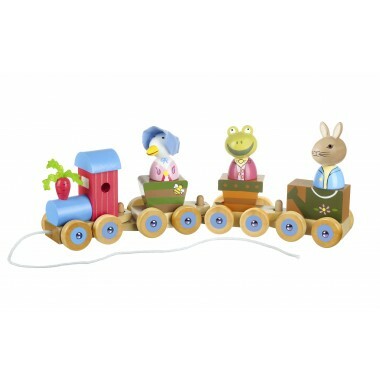 A super gift, particularly for a special occasion; a christening, a birthday or for Christmas!